Overbye Transport prides itself as one of the best in terms of reliability, on-time delivery and competitive rates. 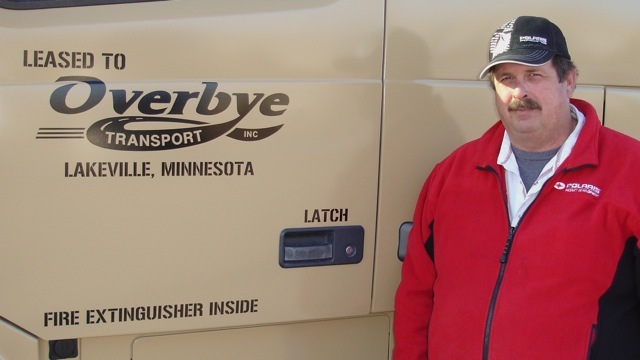 As a Minnesota trucking company, Overbye Transport has earned an enviable reputation for its innovation in transporting rolling stock, utilizing its patented, two-tiered decking system called OverRide Decking. 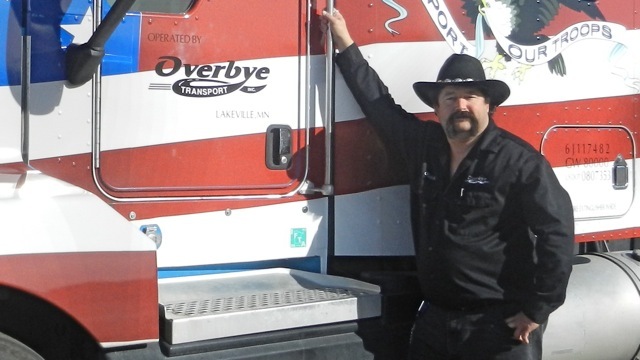 Overbye Transport is a family-owned business founded by Harold Overbye, with more than 48 years of dedication to its customers and to its owner-operator drivers. 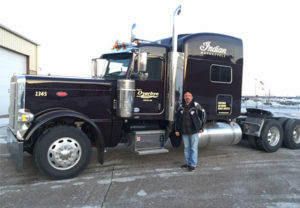 The company is a leader amongst trucking companies for its focus on sustainability, just-in-time delivery, specialty transport services, logistics, and its family-oriented atmosphere for its owner operators. 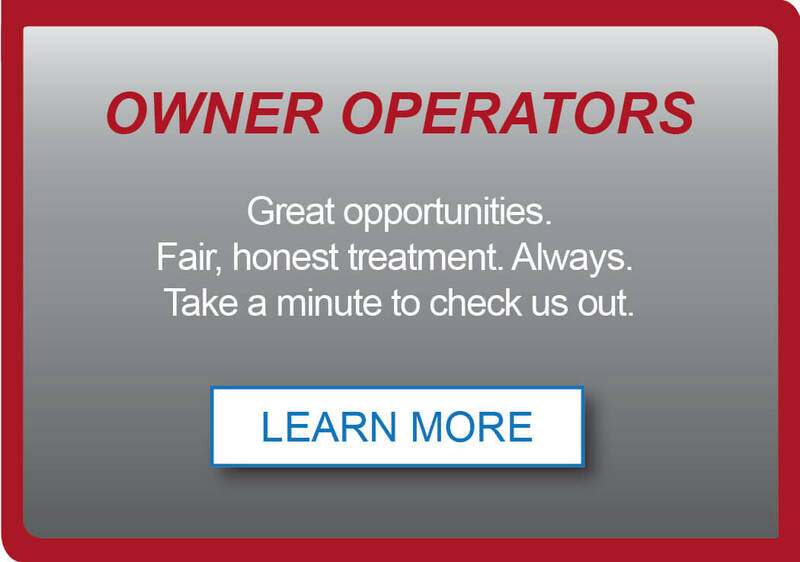 Overbye Transport operates 200 modern, carefully-maintained air-ride trailers for its full-truckload service to customers nationwide. Unique to trucking companies, many of our trailers are fitted with the patented OverRide Decking System that allows for safe, cost-saving transport of rolling stock and non stackable freight in a tiered format in the trailer. OverRide is also very flexible: it can be installed in any of our trailers quickly, and re-configured to accommodate various types of freight. In fact, as compared to other trucking companies, customers can realize as much as a 50% savings in transportation costs when using Overbye’s OverRide system. Overbye Transport operates under the General Commodities Contract Authority in the 48 contiguous United States, as well as in Canada. Among Minnesota trucking companies, we operate under the Minnesota Intra State Authority. For our rolling stock customers, we far surpass other trucking companies in that we not only save our customers freight costs (using our OverRide Decking Systems) but we’re able to deliver product directly to their dealers and distributors uncrated, and ready to roll into showrooms. 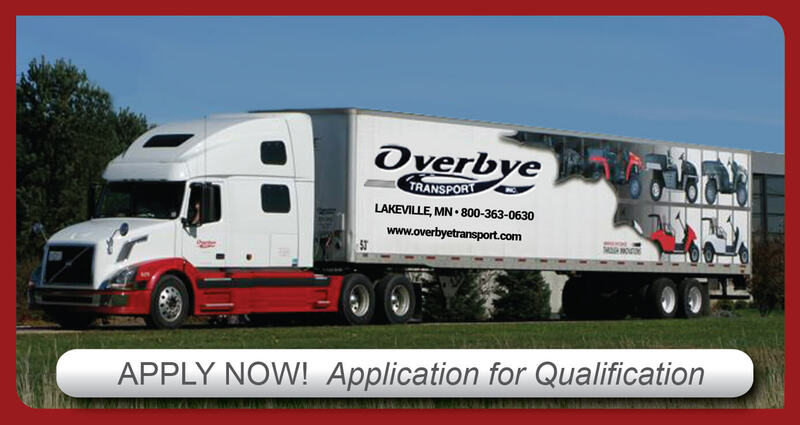 Few Minnesota trucking companies are as dedicated as Overbye Transport in providing value-added logistics capabilities for its customers. Our 28,000 sq. ft. warehouse just south of Minneapolis-St. Paul is safe and secure, with 24-hour security, sprinkler systems, cross-docking and distribution capabilities. We also offer outside storage in our 10-acre, fenced, perimeter-lit asphalt-base lot. So, when it comes to choosing among trucking companies which offer a full range of transport and logistics services, you’ll find Overbye Transport to be at the top of the list. OverRide, invented by Overbye Transport, offers a unique “2-tiered decking” solution to transporting rolling stock such as ATVs, golf carts and other rolling goods. 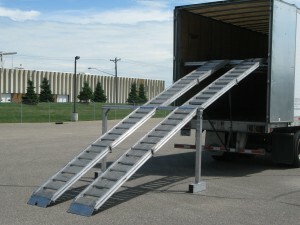 Goods are simply driven up our OverRide ramps and secured on both an upper level and the deck (lower) level of standard 53-foot trailers, thus allowing as much as a 100% increase in the amount of freight that a customer can ship as compared to the way that most transport companies carry rolling stock. Our patented OverRide Decking System also helps us to continue to participate in SmartWay, the EPA’s program designed to encourage trucking companies to provide “greener” services and products.